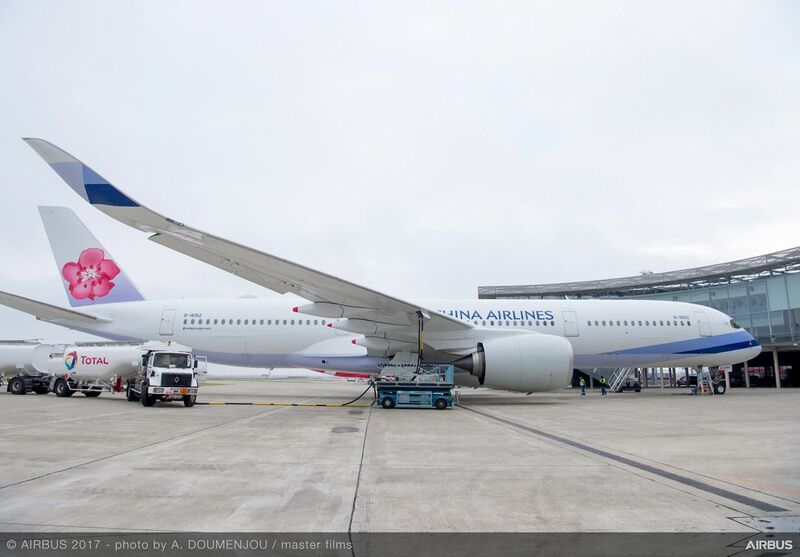 China Airlines of Taiwan has become only the second airline to join a programme to use a blend of traditional and sustainable biofuels to power aircraft for delivery flights from Airbus. The aircraft involved is the tenth A350-900 for China Airlines, which left the manufacturer’s delivery centre in Toulouse today for its new home in Taipei with a 10 percent blend of sustainable jet fuel in its tanks. The sustainable fuel option for delivery flights has been developed by Airbus in association with Air Total, the aviation subsidiary of the global energy operator. In order to stock the eco-friendly product, Air Total has installed the first ever biofuel station adjacent to the Airbus delivery centre in Toulouse. A total of 21 aircraft have so far been delivered by Airbus since the facility was inaugurated in May 2016.